Britain has said it supports Nigeria in its fight against terrorist group Boko Haram, amid a recent string of violent attacks. But the UK won’t send British troops there, Foreign Office minister Hugo Swire said. 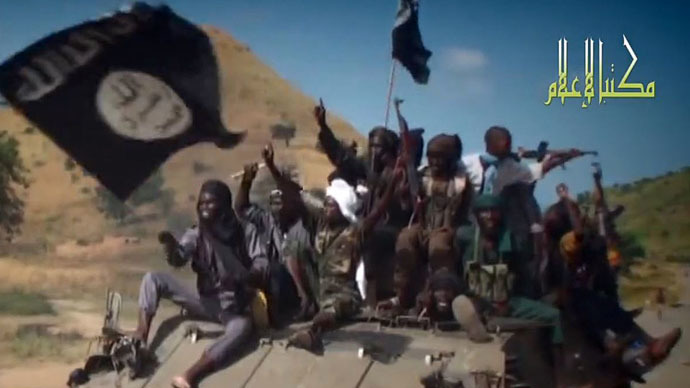 Nigeria has been rocked by a wave of violence carried out by the militant Islamist group Boko Haram. The parliamentary debate follows a report by Amnesty International, which claims as many as 2,000 people were killed in the northeast Nigerian town of Baga last week. Amnesty described it as the “deadliest massacre” in the history of Boko Haram. Witnesses say the town of around 10,000 people was razed to the ground. During the House of Commons debate, Liberal Democrat MP Sarah Teather asked how the government was responding to the escalating situation in Nigeria. “This weekend saw an inspiring and moving display of international solidarity in the wake of the Paris shootings, but while we were watching the horror unfold in Paris, hundreds or possibly thousands of civilians were slaughtered by Boko Haram in northern Nigeria, with very little international attention,” she said. Boko Haram reportedly sent young girls as suicide bombers in two weekend attacks, killing more than 20 people. Two girls went to a market selling cell phones in the town of Potiskum, in Yobe state, on Sunday. Detonating suicide bombs, they killed at least three people. The day before, a 10-year-old girl detonated a device in another market in Maiduguri, Borno state, which left 19 people dead. Swire said the UK’s Department for International Development’s budget for Nigeria was one of the biggest worldwide, at around £250 million. He also noted that Nigeria was one of the richest countries in Africa, spending 20 percent of its budget on defense. “In the normal course of events, it should be able to handle these things itself, but it cannot, and that is why we are providing assistance to enable it to do so,” he said. General elections will be held in Nigeria on February 14, which are expected to trigger more violence and clashes. There are more than 1 million Britons of Nigerian descent living in the UK. Richard Fuller, a Conservative MP, said they would see Swire’s response as inadequate and called for an “active response” from the British government. “With the greatest respect to those who took part [in the rallies against the French attacks], our response to Boko Haram needs more than a hashtag and a photo opportunity,” he said.